At CraftDirect.com, we offer a large selection of discount craft embellishments. It's so easy to dress up your projects with these fun solutions and we have a huge selection of quality brands to choose from. Whether you need scrapbook embellishments for a layout, or maybe for card-making and home decorating, we have great deals. Embellishments are decorations and they can add style and character to your scrapbook pages, cards, and home decor. 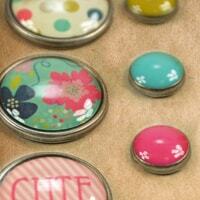 Embellishments will help your pictures to pop out, and usually go along with a theme. Many of the embellishment pieces you can add to your craft projects are items like ribbon, gems, stickers, flowers, etc. 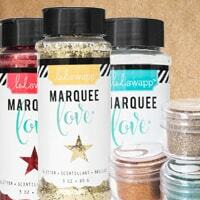 Embellishments are useful in all kinds of crafting projects. Ribbon - ribbon is great for any type of project. Our most popular ribbon is made by American Crafts. 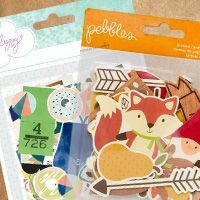 Craft stickers - stickers are a crafter's best friend. 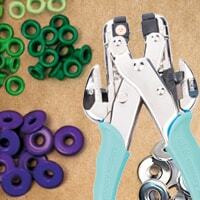 There is no more important craft embellishment to your supply closet. 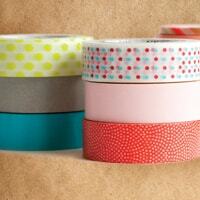 Washi tape - great for adding quick borders to cards and layouts, decorative paper tape is very easy to use. Die cut shapes and phrases - you can cut your own with a machine, but why not buy them too? Add them to cards, layouts, etc. Craft stencils - anybody can draw detailed designs with stencils. Decorative brads - keep your projects in place with the perfect accent. Glitter - we have glitter by American Crafts and Heidi Swapp. At CraftDirect, we know how important it is to add embellishments to your favorite craft projects, and the more the savings, the more you can afford! We have made it our goal to bring you the best selection of craft embellishments that you will find on the internet. For creative ideas for usingscrapbook embellishments, check out our blog.